SCVHistory.com FW3701 | People | Melba Walker (Fisher), 1937. 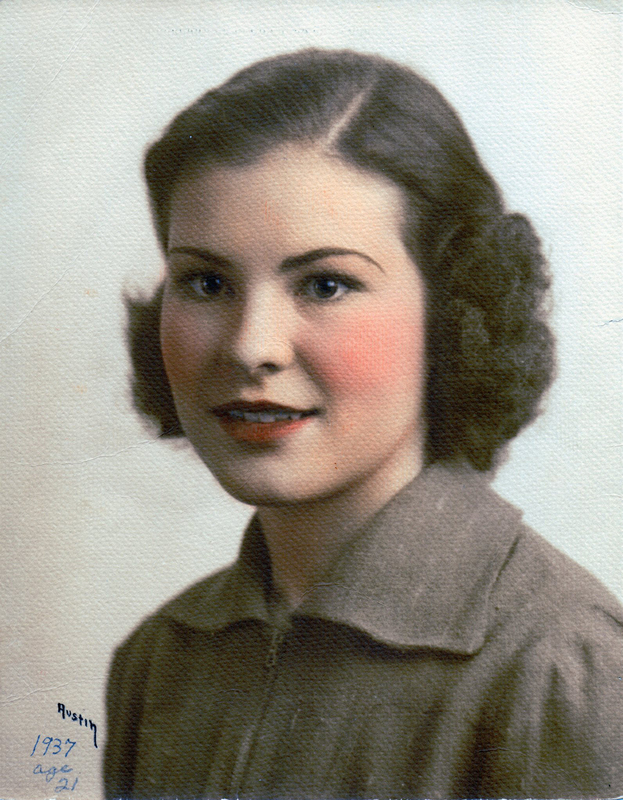 Lifelong Newhall resident Melba Josephine Walker (Fisher) at age 21 in 1937. Melba (July 2, 1916 - Jan. 1, 2015) was the sixth of Frank and Hortense Walker's 12 children. She was born in this cabin in Placerita Canyon. She married twice (Starbuck, then Fischer) and lived in her later years on 8th Street in Newhall. FW3701: 19200 dpi jpeg from smaller jpeg | Walker Family Page on Facebook.